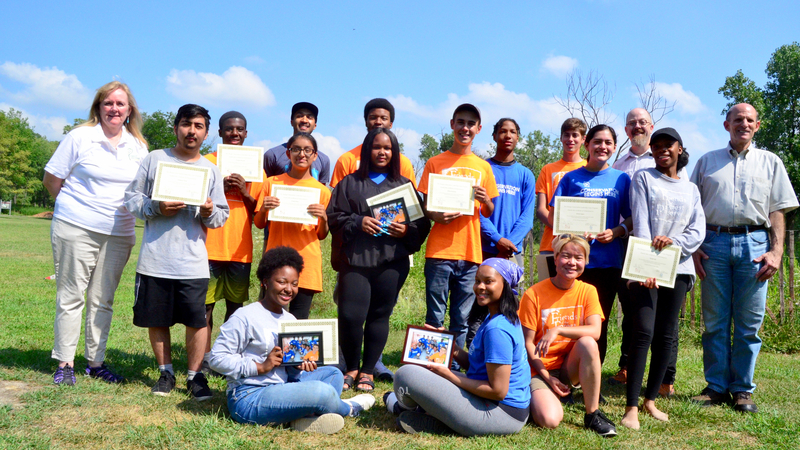 Youth who have meaningful connections to the natural world, especially under the guidance of role models, form strong connections to nature and feel empowered to make a difference as stewards of their environment. They also gain the many benefits of actively playing, exploring and/or working outside. 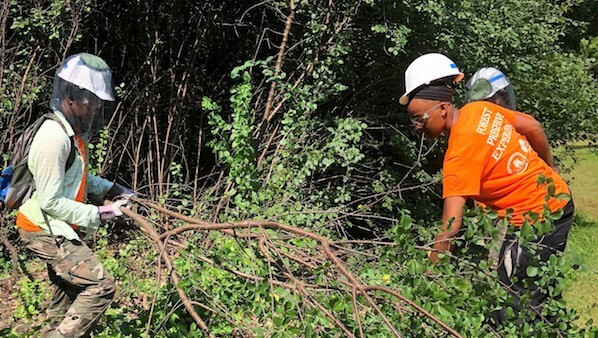 Conservation Corps programs accomplish habitat restoration goals while providing teens with employment experience, science education, and a self-esteem enriching experience. The 2018 Dan Ryan Woods Conservation Leadership Corps crew. 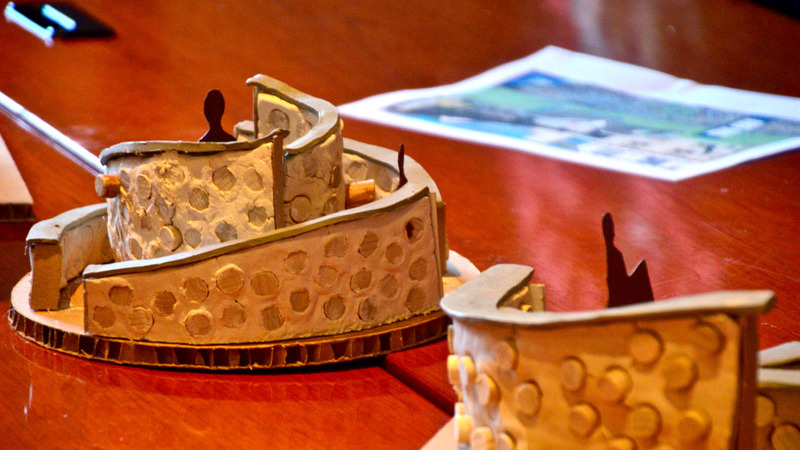 Models of student-designed art pieces. 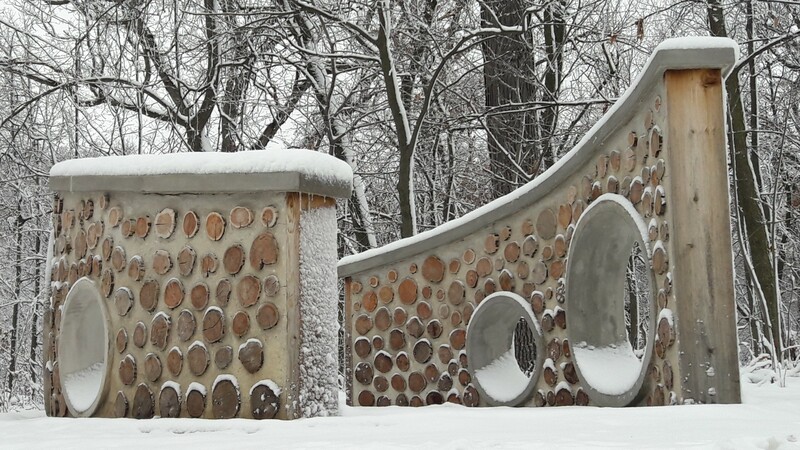 A $70,000 grant from the Foundation and CSX is funding a public art project that will be installed this summer at the Forest Preserve General Headquarters, Thatcher Woods Pavilion and Trailside Museum, all in River Forest. A dozen Oak Park River Forest High School art students designed the sculptures that are being constructed from materials taken largely from nature. The art pieces are meant to celebrate the role the Forest Preserves plays in the local community. Specifications outlined by the Preserves’ Conservation and Experiential Programming Department call for the art pieces to be semi-permanent and constructed of materials that will naturally decay over time and become part of the landscape. Read more about the public art grant and project here. Email Shelley A. Davis, President, to discuss ways you can get involved in helping preserve, protect and educate others about all the Forest Preserve of Cook County has to offer.